Are you tired of setting New Years resolutions or goals and not getting results? Many people avoid setting New Years goals or resolutions because in the past they have not followed through or gotten the results they wanted. Why is this? Have you set goals that were too big for you to achieve or that you didn’t really believe you could achieve? Have you just gotten “too busy” with life to add anything new to the mix like new actions to work on new goals? Or maybe you got disappointed when the results didn’t come easily or you had some setbacks, and didn’t persist! There is a way to set goals that takes the hard work and effort out of the process. As you go through the typical goal-setting steps below, consider using the Law of Attraction to make goal setting more effortless and effective. The Law of Attraction states that what you focus on you attract into your life. That means that where you put your attention or what thoughts you hold most in your mind, will attract outer circumstances and tangible results into your life that correspond to the thoughts. For example, if you think about lack and loss, you’ll attract more lack and loss into your physical world. If you focus on joy and success, that is what you’ll attract more of. One way to use the Law of Attraction to focus on the goals and results you want is to practice positive thinking. So if you start to experience frustration when obstacles or distractions come up, you turn to the positive message or lesson you can learn. Suppose your goal is to obtain 4 new customers in January by attending two networking events. February 1 rolls around and you only gained 2 new customers. Instead of blaming the Law of Attraction and focusing on the 2 clients you didn’t get, celebrate the 2 you did obtain, and reassess what you can do differently in February. How can you keep your mind more positive? Where else can you network? Now your mind is focused on new activities and new results and in a positive mode, so the Law of Attraction will be able to bring you positive results. Review the past year. What worked, what didn’t? Review and reflect on the last year and decide what you will do differently. How can you stay more positive and focused on great results? Create or update your mission statement. This will keep you aimed in the direction you want to go to stay consistent with your personal and professional mission, values, and purpose. Clarify your goals. Define exactly what you want in all areas of your life: personal, professional, health, relationships, whatever has meaning for you. Set goals you believe you can achieve and that stretch you as well. Devise a plan of action. Set specific actions to take, break down each action, develop strategies for each goal, and set timelines. Create a spreadsheet or table. Put each goal into your spreadsheet or table, list the action steps you need to take each month, and insert the date by which you want to accomplish the result. If you were reluctant to write out goals for the New Year, now you can do it with a new tool: the Law of Attraction. One of the tools is positive thinking. This will help you reach your goals and achieve better results. Take time NOW and do this, because you’re worth it. Make 2007 your best year ever! 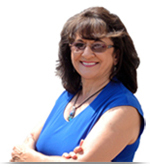 If you would like assistance and direction in learning how to apply the Law of Attraction in your life and achieve your goals with better results, contact Cheryl at [email protected] or call (520) 730-4456.